iPhones have this feature called Shake to Undo that serves some useful functions. For example, you can turn off alarm by vigorously jerking your phone. Again, you can delete any typed text just by shaking the iPhone. 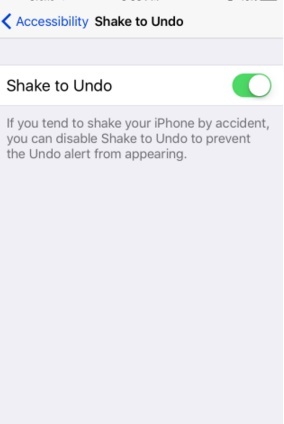 While this Shake to Undo reduces the hazard to delete a text letter by letter, but this feature can be again a serious problem if you shake your iPhone by mistake. You are typing while in a bus or a car and a sudden bump can ruin your life for a moment. So the only option is to turn it off! The question now arises, will disabling the app disbales all the features associated to Shake to Undo? The answer is fortunately no. When you disable the Shake to Undo feature, it only stops the Undo Typing feature and the rest will be alright. Owing to the improved gyrometer sensors in iOS 9, the feature has become more prompt which can be a problem at times. Here’s how you can disable it. 1. Open Settings in your iOS 9. 4. Go to Shake to Undo. Tap the slider to turn it Off.